In its prospectus, Lyft published detailed financials for the first time, showing that while revenue rose to $2.2bn in 2018, losses grew to $911.3m. 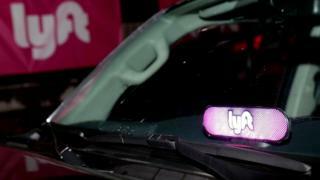 It will join New York's Nasdaq and its stock market symbol will be Lyft. Lyft is currently valued at $15bn, just seven years after it was founded by technology entrepreneurs John Zimmer and Logan Green. Reuters reported Lyft will launch its road show around 18 March, where the company will meet with prospective investors to drum up demand for its shares. Both the company and Uber confidentially filed for an IPO with the US Securities and Exchange Commission in December but Lyft is the first to make the documents public. They show that Lyft generated sales of $343.3m in 2016 which grew to $1.1bn the following year before doubling in 2018. However, losses have widened from $682.8m in 2016 to $688.3m the year after and $911.3m in the last 12 months.